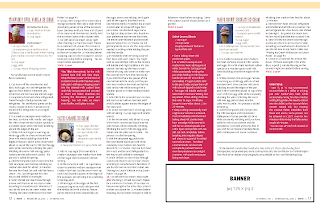 The third and last ice cream in the Whisk issue is dairy free and Parve. Please check my previous post Strawberry Swirl vanilla Ice Cream for tips and a particular note about dairy free ice creams and alcohol. The ice cream tips are strewn throughout the three part series, beginning with Salted Caramel Ice Cream With Salted Caramel Shards. Feel free to link your special diet ice creams in the comments section below. 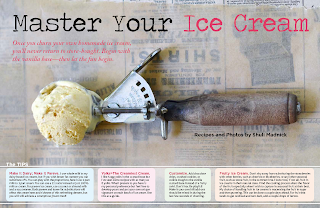 Ice cream is an easy frozen treat to make and enjoy year round. It is particularly refreshing and delightful during the steaming hot summer months and with summer’s seasonal bounty the flavor possibilities are infinite. I usually use whole milk in my dairy based ice creams, but if you wish lesser fat content you can substitute it with 2% milk. You can play with the proportions, here I use 1 part milk to 1 part cream. You can use a 2:1 ratio instead or just 100% milk or cream. There is much room for self interpretation. I like 5 egg yolks in the custard base, for both dairy and dairy free ice creams, but I’ve seen some recipes with as many as 8 yolks. What I present to you here is my personal preference but feel free to develop yours and put your own unique signature on each batch of ice cream. Use this as a guide. You can make ice cream dairy free or Parve, with coconut and almond milk and a soy creamer. I use coconut milk as we are allergic to tree nuts. Some who are allergic to tree nuts might be allergic to coconut as well, but not us. Both parve and lower fat will affect the creaminess and richness of this refreshing dessert, but you will still achieve a scrumptious frozen treat! Don’t fear. Be playful! Make it your own! You can serve the ice creams as ice cream sandwiches in between your favorite cookies, graham crackers or even macaroons. Another fun way is to make a sundae bar. You can pour the churned ice cream into popsicle molds instead of freezing in a container for a fun kid’s party, into your favorite pie crust or freeze as an ice cream cake for a birthday party. You can make some macaroons, meringue, egg white omelets or French macarons with the leftover egg whites. Please feel free to link up your 2012 ice creams in the comment section. Follow and join the conversations on twitter @foodwanderings, befriend Shulie Foodwanderings on FB, Like FoodWanderings FB page and oh I love Pinterest too, Shulie Madnick! In a non reactive medium sauce pan with a heavy bottom, pour 1 ½ cups of coconut milk, 1 tsp vanilla and ¾ cups sugar. Mix coconut milk, vanilla and sugar with a heat resistant rubber spatula or a wooden spoon, and keep on low/medium heat until milk starts bubbling around the edges of the pot. While coconut milk and sugar mixture is warming up, whisk the egg yolks in a medium heat resistant bowl. Once coconut milk starts bubbling around the edges of the pan, add in few increments about ½ cup of the warm milk into the egg yolks while constantly whisking the yolks. Whisking the warm milk into egg yolks makes sure the yolks won’t curdle. This process is called tempering. Add the tempered yolk mixture into the milk sauce pan and incorporate 1 tablespoon of cocoa powder at a time while constantly whisking until you have added all the cocoa powder and the consistency is smooth, lump free. If you wish for an intense chocolate flavor, add 6 tablespoons of cocoa. Continue whisking on low/medium heat for about 10 minutes. Remove from heat, let cool, refrigerate until chill and add the soy creamer. Add the soy based creamer ONLY after the custard base is completely cooled! Mix and refrigerate for a few hours until chilled or overnight. The Parve ice cream base will be more liquid like than custard like. 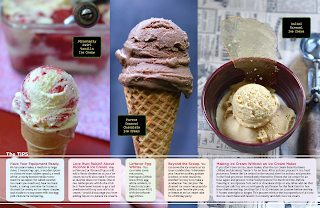 Strain chilled ice cream base through a sieve and churn in an ice cream maker according to manufacturer’s directions. If you do not own an ice cream maker, look at the instructions at the first post in this series, Salted Caramel Ice Cream with Salted Caramel Shards, for alternate directions. Freeze in a container for at least few hours. If frozen overnight or for a few days, a quick 5 minute thawing on the counter might be needed before serving. 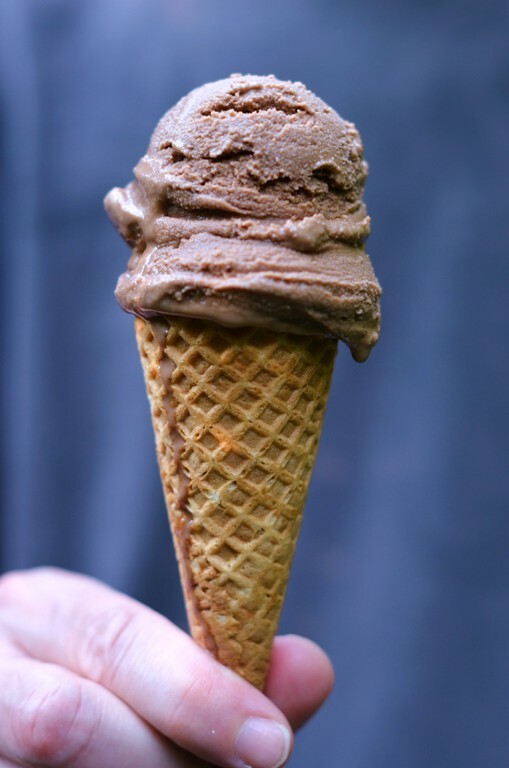 This Parve Coconut Chocolate Ice Cream tasted incredible with the soft serve ice cream cone as well. *Dry skillet toasted unsweetened coconut flakes can be added to the ice cream base prior to churning or as a garnish on top. Toast 1/4-1/2 cups unsweetened coconut flakes in a skillet or a frying pan on low/medium heat, while occasionally mixing for a few minutes until lightly golden. No need to add oil into the skillet as the coconut flakes contain natural oils. Dry roasting the coconut flakes intensifies their flavor and aroma. Same process can be achieved in a 350F oven for a few minutes while mixing the flakes every couple of minutes. *You can use almond milk instead of coconut milk. ooh Jaime love the granita. Thx for sharing. I know what you mean by European size freezers. I hope you get more space when you move. That is a great ice cream and flavor combination! TY Rosa. Gracious as ever! I'm totally making this the next time I'm in NJ visiting my parents... always looking for good dairy-free desserts! Can be a challenge, right?! & yay! Let me know when you make it! Your pictures are inspiring me for some ice cream posts! :) I have boxes of cones ready to be used and shot with. And don't forget... egg whites for cake too! Yum. What a fabulous ice cream series! All 3 varieties look terrific! Thanks for sharing all your tips and congrats on the article! Oh wow! This looks so good! I've been working on a similar recipe! Great minds :) coconut and chocolate go great together. Happy Thursday, Shulie! Really Pandi? Can't wait to see it! Let me know when it's out! I am in love with this post! 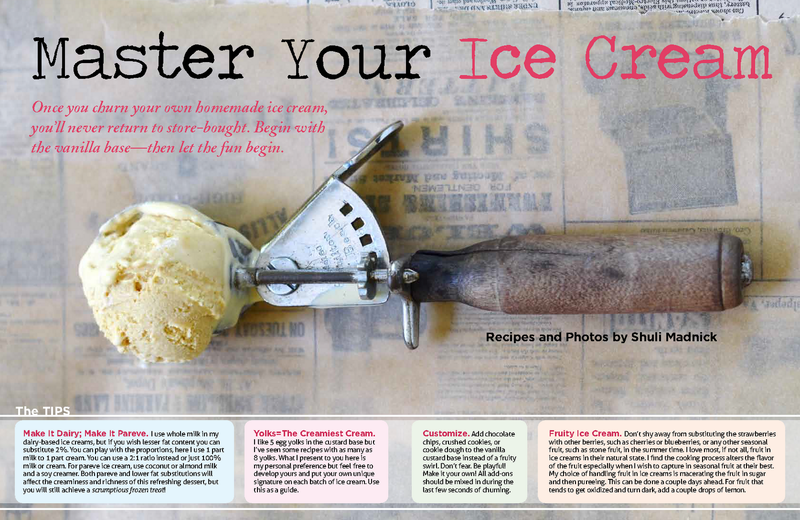 The ice cream looks incredible and the recipe is so simple. I always love making meringues with my extra egg whites. I've tried French macarons one too many times with almost no success. I'm going nuts about it! I am in good company then with the macs. I had spotty results and then I quit! TY so much & yes meringues are great to make with the extra egg whites! :) I know, right?! Me too! I love the sound of this. Just 2 questions: what is soy creamer? (I am from Australia and I have never seen it here, is there a substitute??) and is there a reason why you don't want the cocoa to be dutch processed? Thanks!